Despite the large number of medieval castles, fortresses and other similar objects, until the 1960s and 1970s it was difficult to refer to Bedford as a popular place in terms of tourism, because it was a typical 100-thousandth town from the British outback. 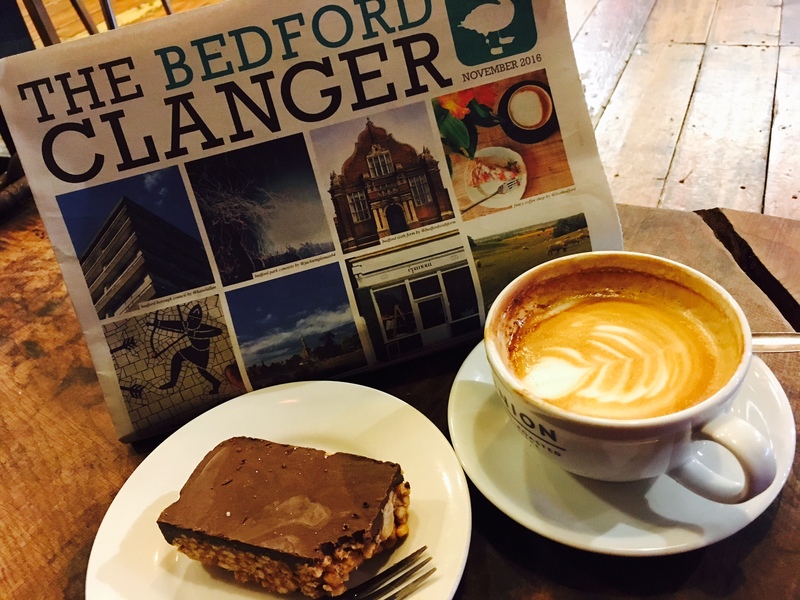 Bedford is a capital of Bedfordshire County which is famous for its picturesque River Great Ouse, several beer breweries and wool products. The British, recognized lovers of domestic tourism, or those who have already travelled abroad, from time to time came there, fleeing from noisy metropolises such as London or Glasgow; or resting from heavy industrial centres such as Liverpool or Manchester, breathing fresh air of quiet unspoilt countryside and enjoying its paced way of life. Nevertheless, today this pleasant riverside town is far from being boring and dull; it was transformed over a few years into a very popular place, in many respects, thanks to the local Italian community, inhabiting both its central areas and the outskirts. At first glance, settlement of sun-loving Italians in a quite ordinary English town is surprising; the town is far from being cultural, financial or industrial hub. Still, usually people, especially natives from another country, migrate either to warm and beautiful destinations, or to places offering profitable business. However, if you dig deeper and penetrate even a little into the history of Europe after the Second World War, then everything becomes much more logical. The end of hostilities brought not only the long-awaited peace, but also devastation. Great Britain seriously affected by the bombing and having lost a lot of its male population in battles around the world, was in great need of labour migrants. Italy, was experiencing a serious economic crisis, so in the early 50s of the last century, the two governments found their win-win: an agreement was signed according to which 7,500 Italians went to Bedford to rebuild the county. Surprisingly, the hospitality and generosity of the local residents, together with well-paid work, led to the fact that emotional and hot-tempered Italians were able to get used to the prudish British and to the local weather, so most of them did not return home after expiry of the contract. Moreover, later the second group of immigrants arrived, together with the families of the first one, and after them there was the third migration wave. All this gave such a demographic result that today every third person in the town has Mediterranean roots. For more than 60 years of living together, immigrants and indigenous people were not involved in any conflicts or strife: they treat each other with respect and tolerance. Maybe this is due to the fact that the Italian community earned its authority by honest work, and they really fell in love with the town and decorated it with their typical taste and refinement. They opened lovely family restaurants, having restored several architectural objects, and laid the foundation for the cultural prosperity of Bedford. Now tourists are beckoned by this amazing combination of two cultures, diametrically opposite to each other. An event called the Bedford River Festival is held on the River Great Ouse, the Italian festival, the festival of kites, the summer fair - these cheerful and colourful events are landmarks of the town. And if we also enrich named events with restored objects like the St. Paul's Church, the grand building of the Bedford Corn Exchange, the old mills, the Victorian parks and the Higgins Art Gallery & Museum boasting with unique watercolours and ceramics, we will get a lively destination with plenty of opportunities and a cultural tutti-frutti to unwind for a weekend, or even for a week off. Largely due to the Italian influence, the tourism has become the same important for the whole county as woollen industry and brewing. Informally, Bedford is considered the capital of all Italians in good old Blighty, until 2008, an Italian Vice-Consulate operated there, and several official institutions are functioning to this day. The tourists from the Apennines include this place into their compulsory travel program round the Foggy Albion, visiting it right after London. Therefore, in the summer months, the concentration of Italians here reaches almost half of the total population - they willingly refuse spaghetti and wine in favour of beer and British snacks and enjoy such an unusual combination of cultures, singing in the evenings Anglo-Italian hits and turning medieval streets in al-fresco concert venues. This interlacing has been repeatedly noted by UNESCO and the United Nations, which awarded the town and name it as an example for the whole world, everyone who loves England and Italy shall visit Bedford, as the both countries converge there.